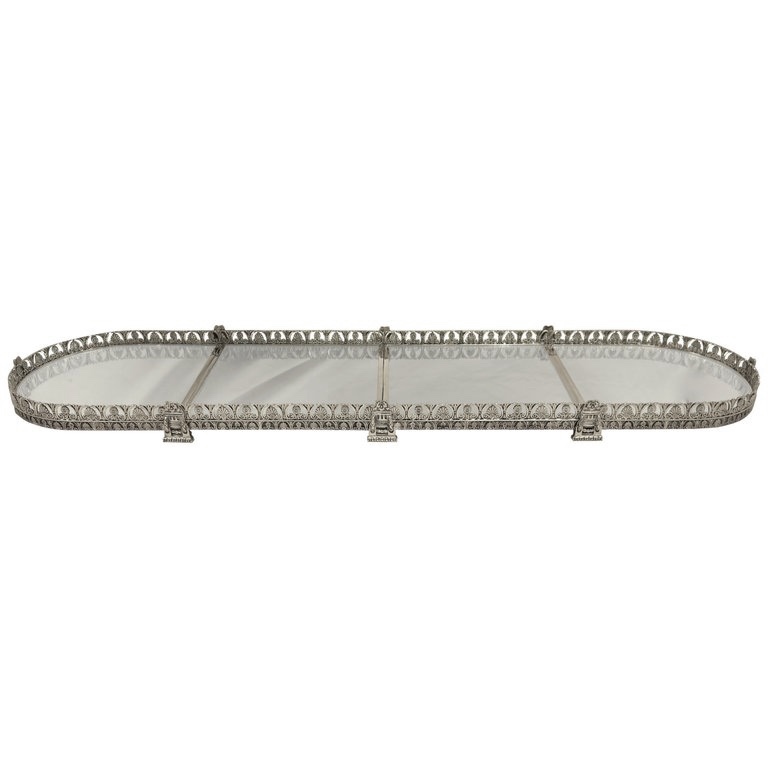 Home / Plateaux / Neoclassical Style Four-Section Mirrored Top Table Plateau / Surtout De Table. 66″ Long. 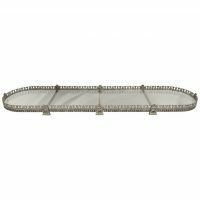 A highly decorative, neoclassical style, four-section surtout de table / silver plated table top plateau. Total of 66" in length x 17" wide. By removing one section the plateau can be shortened to approximately 50"